The ICT department is responsible for all ICT-related matters within VB-Airsuspension - for the head office in Varsseveld, but also for all our branch offices and subsidiaries. ICT-related matters include infrastructure, software solutions, workstations, telephony and all other related issues. 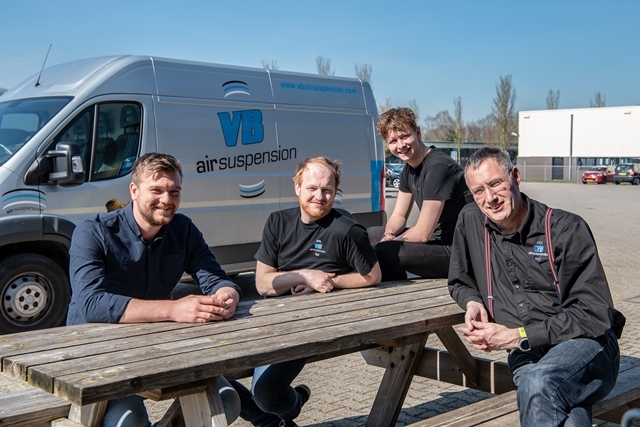 One of the most important tasks is its anticipatory role for the organisation in order to ensure that VB-Airsuspension can make use of the very best and most recent technology and resources. This enables work and processes to run as smoothly as possible. This is made possible by automating existing processes, but also by introducing new systems, integrating them or linking them to existing solutions. That's not always easy, because developments tend to be very fast. It is also the task of the ICT department to ensure the continuity, stability and security of the ICT environment. They also act as a kind of helpdesk and provide support with regard to hardware, software and applications. Malfunctions and questions from colleagues are solved immediately if possible. You can also contact the ICT department for advice and for the purchase and set-up of network, system, application and workplace management. As ICT Team Leader, it is Nils' task to make the team perform as well as possible and to utilise the qualities of each team member as well as possible. His work also includes devising and implementing new solutions and managing the IT infrastructure. In addition, second-line support cases usually end up on Nils' desk. Piet is responsible for the functional and technical management of our ERP system and the software for it. He also ensures that all documents, labels and tags are generated at the right time and in the right place. Our system manager Bas is a specialist in all markets. He not only handles first line support cases, but also works on projects for our ERP system. He also works with Nils on new solutions and managing the IT infrastructure. Since this year, the ICT department has been able to make room for an intern, which is why Mark is reinforcing our ICT team. Mark is supporting us as a helpdesk employee for user queries and problems. He is also working on a new MDM solution for our mobile devices for his final project for school. This allows the ICT department to remotely manage all mobile business devices from employees, such as smartphones and tablets.